Anyone who has a dog knows how much their best friend loves getting out and about, and these four books are among the best travel writing books which feature a canine companion in the writing. One of the best and funniest travel books ever written full stop, with Jim the whippet as the integral part of the book. Why one would ever think of taking a narrow boat across the English Channel with a dog is something else, but it is beautifully and evocatively written and makes Jim a hero. 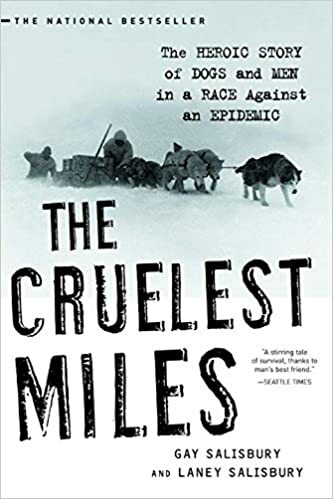 Some may not consider it a travel writing book in the pure sense, but it’s an amazing story of the dogs who carried a life saving serum across the ice of Alaska and inspired the annual Iditarod Dog Sled Race, whilst also immortalising the lead dog, Balto. This may divide opinion and is written by the author in his own inimitable style. It tells of his travels – still continuing – across North America with a dog he rescued, Spirit. Cool dog. 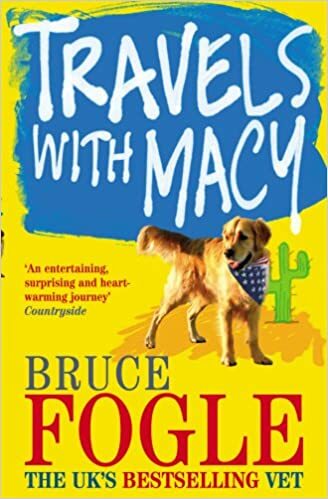 British Vet, Bruce Fogle, along with his dog, Macy, retraces John Steinbeck’s path from the American author’s 1960’s classic Travels with Charley. Kristin Marx recently ran the Milwaukee Half-Marathon, more than 16 years after she had been diagnosed with cardiomyopathy and had to have a heart transplant. 27-year-old Irene Sewell of Blacksburg, Virginia, and ex-professional ballroom dancer for five years, has set a record for running a marathon in high heels! She ran the 26.2 miles at the recent 7 Bridges Marathon in Chattanooga, Tennessee. She ran the race in 7:27:53. Masters runner, Stuart Galloway won the recent Niagara Falls International Marathon – his first win at this distance in more than 20 years, at the age of 56. He beat 1005 other entrants in a time of 2:51:07. Michelin will this week release the newest edition of the MICHELIN Guide Washington, D.C., for 2018, and they are adding two more star selections to the nation’s capital. Michelin inspectors, who have been dining anonymously around Washington, D.C., for the last two years, have recognized Komi and Metier for the first time. Komi, led by local chef Johnny Monis, earns its first star for a Mediterranean tasting menu that offers diners a variety of small bites, house-made pasta, and roasted meat, often goat. Métier, owned by chef Eric Ziebold and partner Célia Laurent, features menu items that have been locally sourced and décor items from the owners’ personal collections. Additionally, the 2018 MICHELIN Guide Washington, D.C., recognizes more than 70 restaurants with the Plate symbol, a designation given to restaurants that inspectors recognize as having potential and are recommended to travelers and locals for quality food. More than 33 styles of cuisines appear in the Guide. Diners can find recommendations for establishments with notable wine, beer, sake and cocktail lists, as well as menus on which average prices are $25 and under. Shot in black and white by Wim Wenders’ assistant cameraman Martin Schäfer and featuring music from a number of new wave bands from the time, as well as established artists such as Kraftwerk, Devo and David Bowie. It is a journey through late seventies Britain by way of a road trip from London to Bristol, with Robert, a DJ (played by David Beames) attempting to investigate the suicide of his brother. The TV series with Steve Coogan and Rob Brydon. 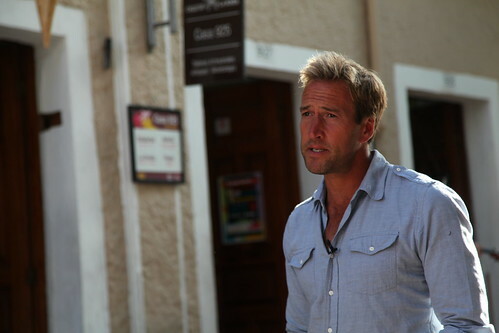 So desperate are we for good road trips that we had to accept this as a “film”, but it is excellent. Coogan and Brydon are hilarious, the countryside beautiful and the food looks delicious. Two men, Ritchie Lee (Lenny Henry) and John Carloff (John Shea), team up to start a mobile soul disco by converting an old ice cream van for their work. Wonderful Motown soundtrack, some very funny bits and a great supporting cast from actors such as Peter Vaughan, Pete Postlethwaite and Cherie Lunghi. A dark and very funny comedy where the ‘hero’ Chris, takes his girlfriend on a trip around the UK but a ‘dream caravan holiday’ does not turn out to be such a dream. Definitely black in its humour and a dark ending not to be forgotten. 31/10/17: And an honourable mention to Channel 4’s new series, The End of the F***ing World – a road trip by 2 disillusioned teenagers. Excellent viewing. If this inspires you to combine your own road trip with some serious hiking, then you could consider the Three Peaks Challenge – in which case, we have some t-shirts which might complement your trip!